Widespread antenatal screening has resulted in increased detection of anomalies of the kidneys and urinary tract. The present guidelines update the recommendations published in 2000. Antenatal hydronephrosis (ANH) is transient and resolves by the third trimester in almost one-half cases. The presence of oligohydramnios and additional renal or extrarenal anomalies suggests significant pathology. 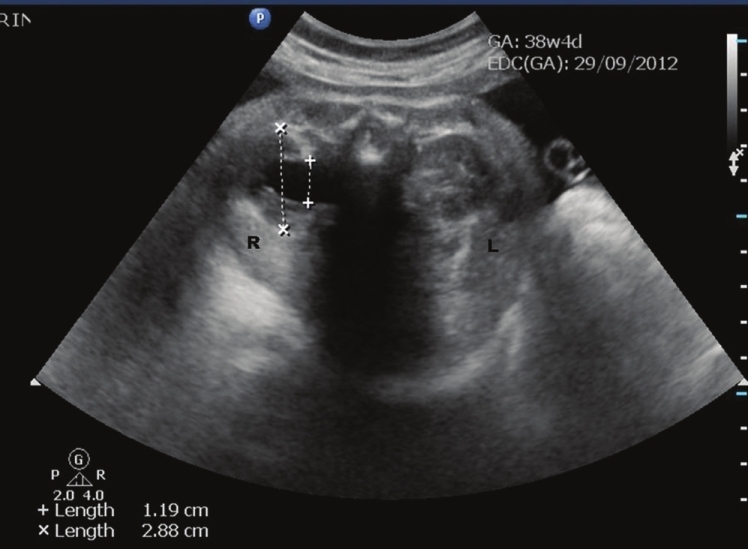 All patients with ANH should undergo postnatal ultrasonography; the intensity of subsequent evaluation depends on anteroposterior diameter (APD) of the renal pelvis and/or Society for Fetal Urology (SFU) grading. Patients with postnatal APD exceeding 10 mm and/or SFU grade 3-4 should be screened for upper or lower urinary tract obstruction and vesicoureteric reflux (VUR). Infants with VUR should receive antibiotic prophylaxis through the first year of life, and their parents counseled regarding the risk of urinary tract infections. The management of patients with pelviureteric junction or vesicoureteric junction obstruction depends on clinical features and results of sequential ultrasonography and radionuclide renography. Surgery is considered in patients with increasing renal pelvic APD and/or an obstructed renogram with differential renal function < 35-40% or its subsequent decline. Further studies are necessary to clarify the role of prenatal intervention, frequency of follow-up investigations and indications for surgery in these patients. We investigated whether patients receiving RTx who live farther from their attending nephrologist are more likely to die than those who live closer. A random sample of 167 patients who undergone RTx between 1996 and 2004 was examined. We calculated the distance between each patient's residence and the practice location of their attending nephrologist. We used Cox proportional hazards models to examine the adjusted relation between distance and clinical outcomes (death from all causes, rejection episodes, infectious causes, and cardiovascular complications) over a follow-up period of upto 6 years. During the follow-up period (median: 3.3, range: 1.0-6.5 years), 22% of patients died. Compared with patients who lived within 50 km of their nephrologist, the adjusted hazard ratio of death was 1.04 among those who lived 50.1-150 km away, 1.16 for those who lived 150.1-300 km away, and 1.19 for those who lived more than 300 km (P for trend <0.001). The risk of death from infectious causes increased with greater distance from the attending nephrologist (P for trend <0.001). The risk of developing acute rejection episodes did not increase with distance from the attending nephrologist (P for trend = 0.2). The risk of death from cardiovascular causes increased with distance from the attending nephrologist (P for trend <0.05). Compared with patients who lived within 50 km of their nephrologist, the adjusted hazard ratio of death among those who lived >300 km away was 1.75 for infectious causes and 1.39 for cardiovascular causes. We conclude that mortality and morbidity associated with RTx was greater among patients who lived farther from their attending nephrologist, as compared with those who lived closer. Urinary tract infections (UTI) in children with sickle cell anemia (SCA) may result in long term renal dysfunction. 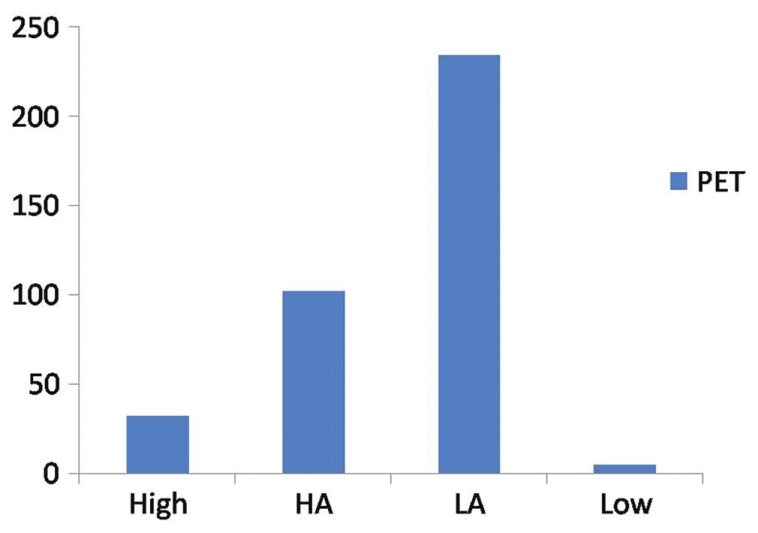 The prevalence, potential risk factors, and clinical significance of asymptomatic bacteriuria (ASB) were investigated in 196 Nigerian children with SCA in stable state. These children had clinical evaluation and assessment of their mid-stream urine (MSU) for pyuria, culture, and sensitivity tests; urinalysis for proteinuria, and estimated glomerular filtration rate (eGFR), hematocrit, serum creatinine and uric acid estimation. Children with confirmed ASB were compared with those without ASB. Those with confirmed ASB were monitored for 6 months for persistence of significant growth, development of symptomatic UTI, and evaluation of renal functions. The prevalence of probable and confirmed ASB in this cohort of SCA children were 12.2% and 6.6%, respectively. Confirmed ASB was more prevalent among older ( P = 0.046) and female ( P = 0.003) SCA children, particularly those with pyuria (odd Ratio, OR = 5.4, 95% confidence interval, CI = 2.7-11.0, P < 0.001) and proteinuria (OR = 1.4, 95% CI = 3.9-8.7, P = 0.006). Previous symptomatic UTI was not associated with ASB. Also, the mean eGFR, serum creatinine, and uric acid were not different in the group with ASB and those without ASB ( P > 0.05). At the end of 6 month follow-up, two (15.4%) of the 13 children with ASB had persistence of significant growth, but none develop symptomatic UTI. Also, none of the two with persistent ASB had hypertension or deranged renal function. ASB is a significant problem in older age female SCA children, although renal functions were not different among those with and without ASB. A large scale randomized placebo-controlled trial of conventional treatment for ASB in SCA is advocated to define its long-term clinical significance. Reduction of weight in obese type 2 diabetes mellitus (T2DM) individuals is emerging as a significant strategy in the reduction of proteinuria in diabetic nephropathy along with control of hyperglycemia, hypertension, and dyslipidemia. The objective was to evaluate the reduction in 24-h proteinuria in T2DM patients with nephropathy by weight loss, with conventional therapy (angiotensin-converting enzyme [ACE] inhibitors) as the control arm. A prospective, randomized controlled trial was conducted between June 2010 and May 2011. T2DM patients with confirmed nephropathy by 24-h urinary protein estimation with a body mass index (BMI) of >25 kg/m 2 were studied. Patients who had nondiabetic nephropathy, uncontrolled hypertension (>125/75 mmHg) irrespective of antihypertensive drugs, excess weight due to edema or obesity due to other specific diseases, alcoholics, smokers, and patients who were on hemodialysis were excluded from the study. The patients were divided into three groups, namely, group A, patients on ACE inhibitor therapy; group B, patients on lifestyle modifications for weight loss; and group C, patients on an antiobesity drug (orlistat) and lifestyle modifications. At the end of 6 months, all the three groups were compared. Data were analyzed using software SPSS version 15.0. 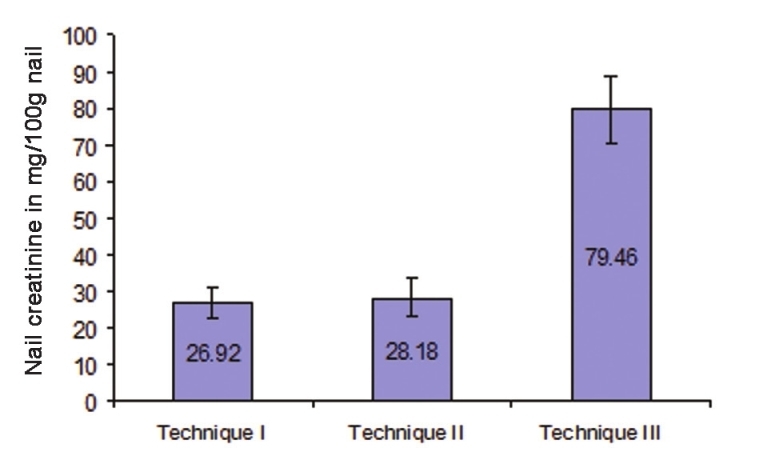 This study encompassed a total of 88 patients; 12 patients were dropped during the study period and 76 (group A: 22, group B: 23, and group C: 31) patients remained. The mean age of the patients was 58.36 ± 10.87 years (range: 30-70 years). At baseline, age, gender, mean BMI, waist-to-hip ratio (WHR), and 24-h proteinuria did not vary significantly among the three groups. At 6 months, the mean BMI significantly decreased in group C ( P < 0.001) compared to that in the other two groups. Among the parameters BMI and WHR, the proportional form of BMI correlated well with the degree of reduction in proteinuria (r = 0.397, P = 0.01). Reduction in weight using lifestyle modifications and antiobesity drugs might improve renal function and proteinuria safely as observed in obese patients with diabetic nephropathy. It is often difficult to differentiate acute renal failure (ARF) from chronic renal failure (CRF) when the patient presents with advanced uremia for the first time. Assessments of kidney size, history of nocturia, and pallor are used as indirect indicators of CRF. Some investigators have proposed an estimation of finger nail creatinine concentrations to differentiate between ARF and CRF, as patients with CRF have higher nail creatinine concentrations. Measurement of creatinine in the nail can be performed easily in a biochemistry laboratory. The nail clippings are cleaned, dried, pulverized and creatinine extracted from the powdered nail to be assessed biochemically. By standardizing the methods, the biochemistry laboratory can provide the results within 48 hours. 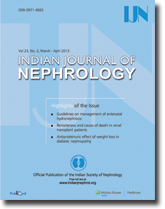 In this study, we analyzed the nail clippings of 49 normal subjects, 50 cases of known acute kidney injury (AKI), and 50 cases of known CRF on follow-up at the Nephrology Clinic, Medical College, Trivandrum between December 1999 to November 2000. Forty-nine normal individuals were selected from healthy bystanders of respective patients. On study, it was revealed that patients with ARF had a mean fingernail creatinine level of 30.9 mg/100 g of nail as against 30.1 mg/100 g of nail in normal controls. There was no difference between the controls and ARF patients.Patients with known CRF had a mean fingernail creatinine level of 69.2 mg/100 g. There was a significant increase in the level of nail creatinine in patients with known CRF versus ARF patients and normal controls. The measurement of nail creatinine is useful, easy and can be standardized and performed in a biochemistry laboratory. This simple investigation can help in solving the question of ARF versus CRF in a given case. From this study, it is concluded that the result of creatinine concentrations of nail clippings can indicate chronicity of renal failure. We present our experience of 22 cases of emphysematous pyelonephritis (EPN) treated from 1996 to 2012. Medical records were analyzed retrospectively for demographic profile, presence and duration of diabetes mellitus, and mode of clinical presentation. 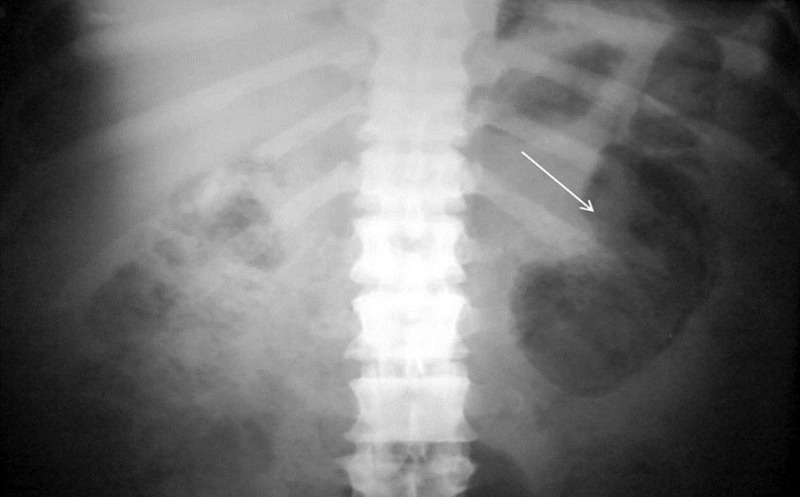 EPN was diagnosed based on demonstration of intra-renal gas by plain X-ray, ultrasound, and/or computed tomography (CT) scan. Details of medical treatment, reason for surgical intervention, and final outcome were recorded. Univariate analysis was performed to identify risk factors for mortality and P value of less than 0.05 was taken as significant. Twenty-two cases (6 males, 16 females) of EPN were diagnosed. Seven cases presented with acute pyelonephritis, seven cases with urosepsis, and the remaining eight patients with multi-organ dysfunction. CT grading of EPN was class IV in three, class III in four, class II in 14, and class I in one. All were initially managed medically with parenteral antibiotics. Ten patients needed additional surgical intervention. The overall survival rate was 86.3% (19/22). Among the risk factors analyzed higher CT grade, altered sensorium and thrombocytopenia were significantly associated with mortality. We conclude that a more conservative approach in managing EPN has become the standard of care. Patients having high CT grade of lesions (III and IV) with altered sensorium and thrombocytopenia at presentation are more likely to die due to the disease and may be better managed by an aggressive surgical plan. We wanted to assess oral and salivary changes in end stage renal disease (ESRD) patients undergoing hemodialysis (HD) and to understand the correlation of such changes with renal insufficiency. The cross-sectional study was performed among 100 ESRD patients undergoing HD. Among these, 25 patients were randomly selected to assess the salivary changes and compared with 25 apparently healthy individuals who formed the control group. Total duration of the study was 15 months. Oral malodor, dry mouth, taste change, increased caries incidence, calculus formation, and gingival bleeding were the common oral manifestations. The flow rates of both unstimulated as well as stimulated whole saliva were decreased in the study group. The pH and buffer capacity of unstimulated whole saliva was increased in the study group, but stimulated whole saliva did not show any difference. ESRD patients undergoing HD require special considerations during dental treatment because of the various conditions inherent to the disease, their multiple oral manifestations and the treatment side-effects. 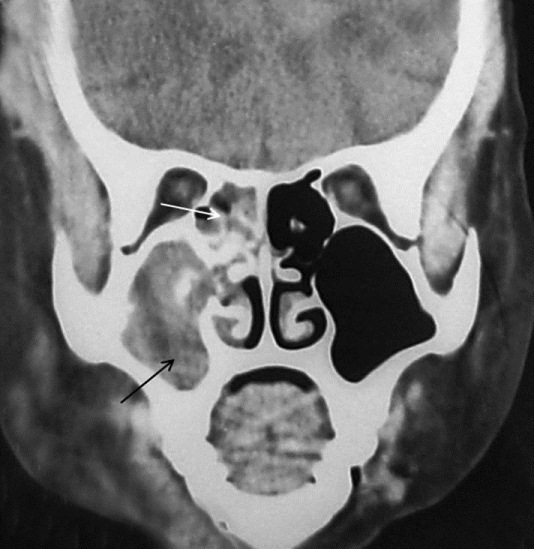 Idiopathic intracranial hypertension (IIH), once called pseudotumor cerebri, presents with nonspecific signs and symptoms of increased intracranial pressure and papilledema, and is associated with high risk of loss of vision. Zygomycosis is a rare but serious fungal infection seen occasionally among renal transplant recipients in the late transplant period with high mortality risk. Early diagnosis coupled with multidisciplinary care can salvage the patient from the risk of death. We present an unusual case of adult renal transplant recipient with IIH followed by rhinocerebral zygomycosis secondary to amplified immunosuppression that was managed successfully. The Churg-strauss syndrome (CSS), also referred to as allergic angiitis and granulomatosis is characterized by asthma, peripheral and tissue eosinophilia, extravascular granuloma formation, and vasculitis of multiple organ systems. It is an uncommon disease with an estimated annual incidence of 1-3 per million. Here, we report a case of CSS with glomerulocentric granulomatous reaction with interstitial eosinophils and involvement of retinal vessels. 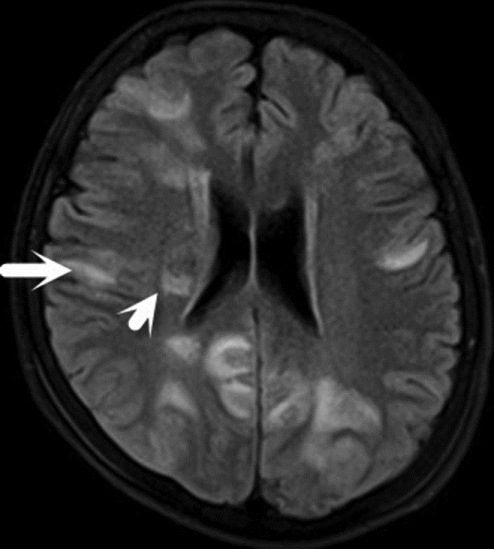 Posterior reversible encephalopathy syndrome (PRES) is an uncommon post-renal transplant complication. We report a 16-year-old boy who had an acute cellular rejection immediate post-transplant and was given intravenous methylprednisolone along with an increase in tacrolimus dose. He was diagnosed to have PRES based on clinical and radiological features within 6 h of intensified immunosuppression. This is an unusual case report of successfully managing PRES with continuation of the intensified immunosuppression as warranted by the clinical situation, along with aggressive blood pressure control. After 6 weeks, magnetic resonance imaging showed complete resolution of lesions. He has good graft function and no residual neurological deficits while on small doses of three antihypertensives, 12 months after transplantation. 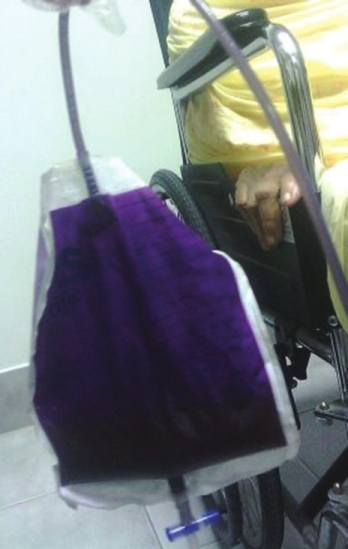 Purple urine bag syndrome (PUBS) is an infrequent condition, seen mostly in elderly female patients, characterized by an intense purple discoloration of contents of urine bag following long-term indwelling urinary catheterization. The purple discoloration is most often due to the presence of indigo and indirubin pigments which are metabolites of tryptophan. Urinary bacteria with indoxyl sulphatase activity metabolize indoxyl sulphate to produce indigo and indirubin, particularly in alkaline urine. We report an elderly woman with a urinary tract infection and constipation who presented with PUBS. The purple urine disappeared after antibiotic therapy and change of the urine bag. To the best of our knowledge, this is the first case of PUBS reported from this region. This is a case report of a 16-year-old boy presenting with a history of oliguria and anasarca. Workup revealed marked proteinuria to the tune of 8 g/day. He was subsequently found to be hepatitis C positive. Genotype was hepatitis C virus type 6. Renal biopsy revealed mesangioproliferative glomerulonephritis with IgA deposits consistent with IgA nephropathy (IgAN). Initiation of oral ribavirin and pegylated interferon caused a marked reduction in proteinuria after 8 weeks of treatment. It was postulated that hepatitis C manifested as IgAN. This case report thus sheds light on the possibility of an association between hepatitis C and IgAN. Renal biopsy in patients with nephrotic syndrome helps to establish the pathological diagnosis and subsequent treatment. In certain circumstances, biopsies are difficult to obtain because of the risk of bleeding. 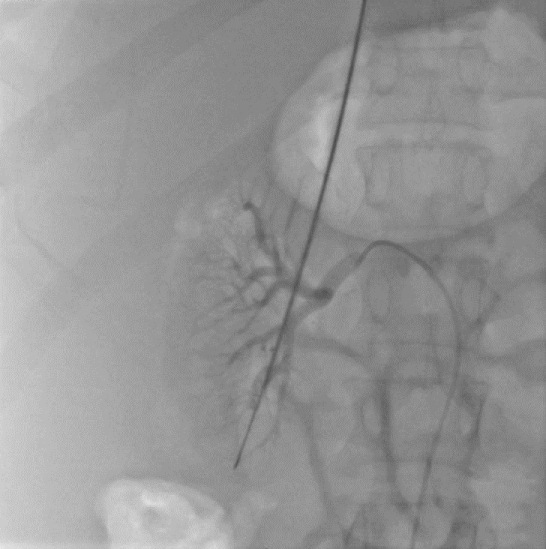 We report a case where renal biopsy was obtained through the transjugular route in a patient who had nephrotic syndrome with extrahepatic portal venous obstruction. Post-renal biopsy bleeding refractory to angioembolization usually requires graft nephrectomy as a life-saving measure. 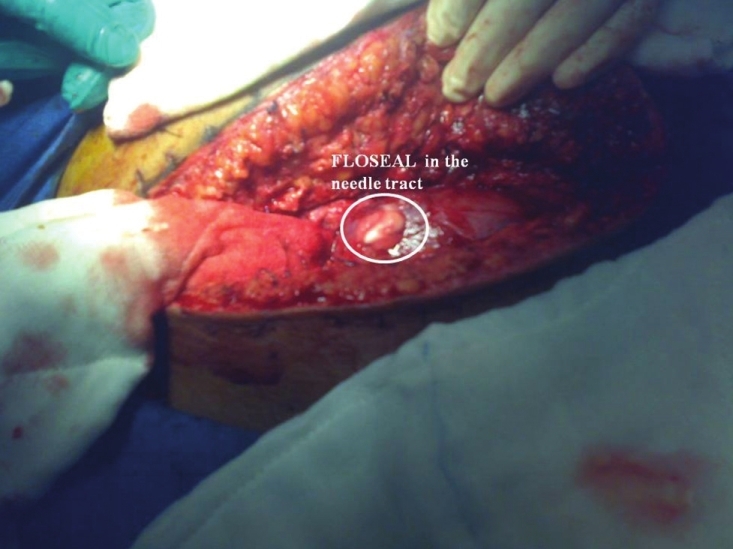 Gelatin-thrombin hemostatic matrix injection in the needle tract is a novel attempt to control bleeding in such cases and to salvage the allograft. We hereby describe two cases of post-graft biopsy bleed. 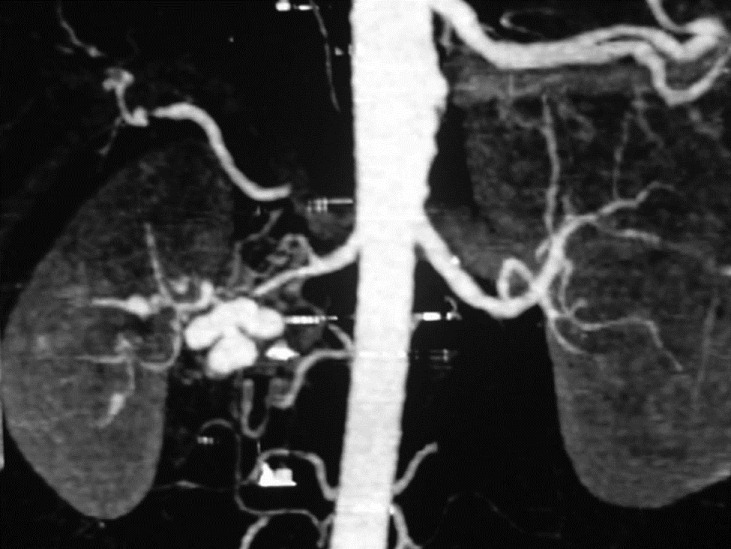 Both these patients continued to bleed even after angioembolization. They were shifted to the operating room upon developing hypotension, having received multiple blood transfusions with the intention of performing graft nephrectomy to save their lives. However, bleeding was successfully controlled by using Gelatin-thrombin hemostatic matrix injection in the biopsy needle tract. Patients improved hemodynamically after the procedure. Graft function returned to normal in both the cases. At an average follow-up of 10.4 months, both the patients have shown stable graft functions.